Synopsis: Angelo is the son of Italian immigrants living in Canada. When he moves out without being married his parents are dismayed, but when he tells them he’s gay it’s like the fall of Rome. When he reunites with his childhood best friend, Nino, they have an immediate connection that surprisingly leads them to become boyfriends and move in together. However, Nino isn’t ready to be out and Angelo is still finding himself. I remember watching this film many years ago, and thinking it was a fun movie about an Italian guy coming out in his community. For the time, it was another aspect of the coming out story but with an Italian backdrop (albeit stereotypical and cliche). It’s still mostly your basic coming out story with some Italian drama. Not a lot happens in Mambo. Angelo moves out, finds boy, comes out, loses boy, family drama, end. So a lot of the substance of the movie is in it’s comedic one-liners (some of which are pretty funny), and the internal struggles of Angelo and those around him. Angelo is coming to terms with himself, Nino is battling himself, parents are coming to terms with their children, and a sibling is trying to figure out her life. Another message that is brought out through a conversation with Angelo’s new friend at the “Gay Help Line” is about compassion. His friend says, “How can you have compassion for others if you don’t have compassion for yourself?” Nino had made a comment that Angelo was a self-hating Italian – he bemoaned Italian subculture as ridiculous. And the movie characterizes it as such often. But the self-hating has leeched into internalized homophobia that Angelo has to work through. There are some good, metaphorical scenes in this film. I like the one where the family has gone to confession only to find they are all in the confession booths together. When they need to “come out” of the booths, they are concerned people will see them and start talking about them. However, they decide to come out together – proud – and no one is even there watching. 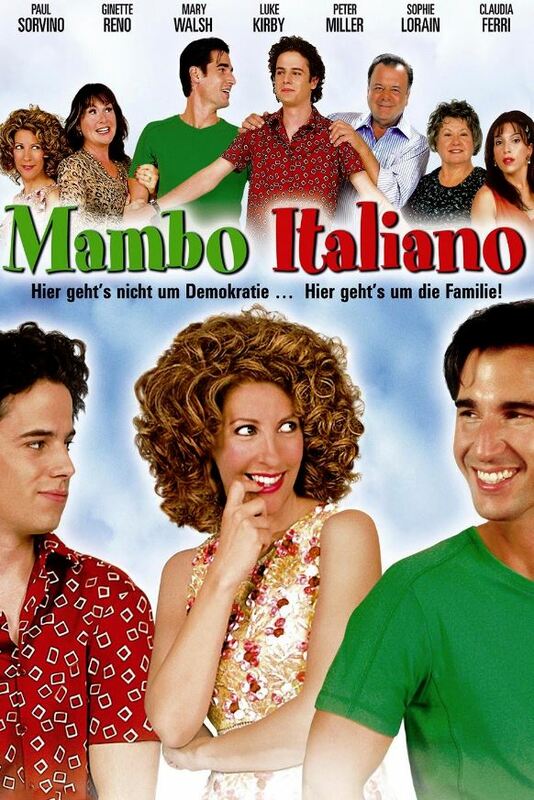 Mambo Italiano is a little basic, a little stereotypical, and a little fun to watch. If you’re looking for a simple, fun film to pass some time, Mambo Italiano is free to watch on Amazon Prime (as of January 2019).